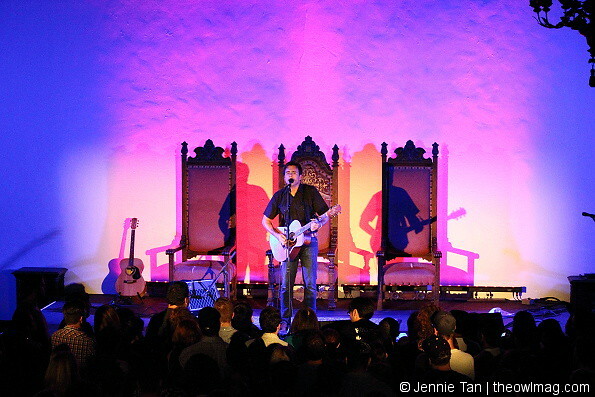 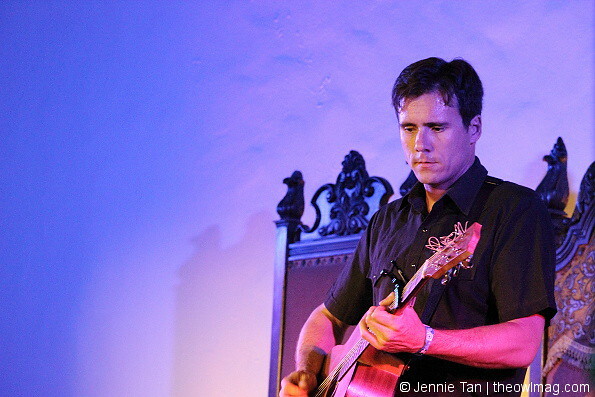 Jimmy Eat World frontman Jim Adkins performed a rousing solo acoustic set to a sold out Masonic Lodge at the Hollywood Forever Cemetery. 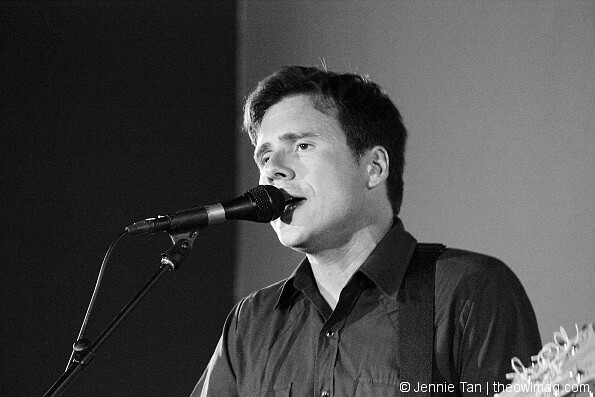 Tuesday night’s full house was undoubtedly ebullient from Adkins’ eclectic setlist of new solo material, Jimmy Eat World songs, and fun covers that were sprinkled in-between. 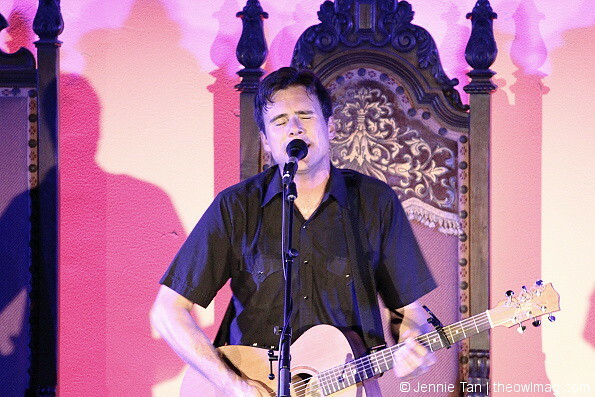 While stripped down acoustic sets often call for a solely mellow ambience, Adkins’ acoustic renditions of “Always Be” and “Lucky Denver Mint” were just as energizing as their electric counterparts. 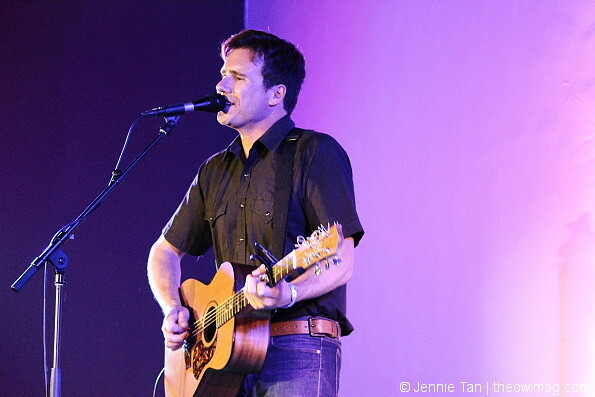 “I Will Go,” a new song from Adkins’ single series, was an attention grabber with its charming melody and subtly solemn lyrics. 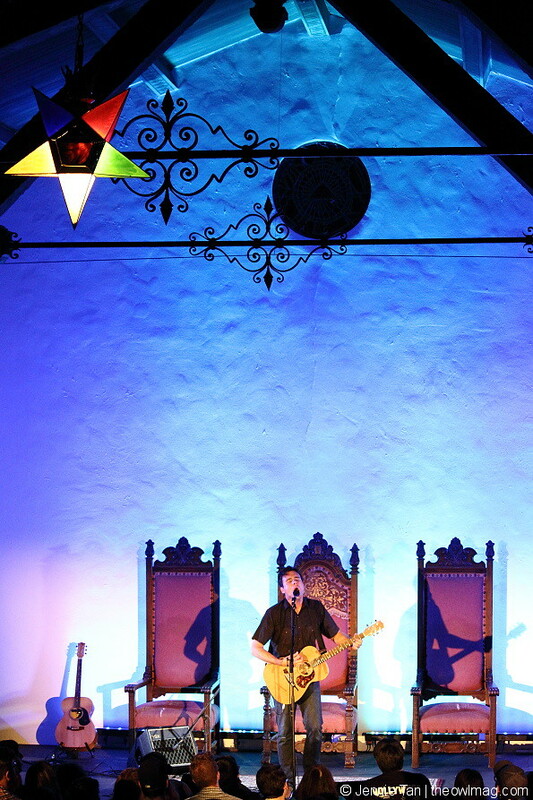 The show left fans in high spirits and glad to have caught Adkins’ final US stop before he embarks on a European tour next month.